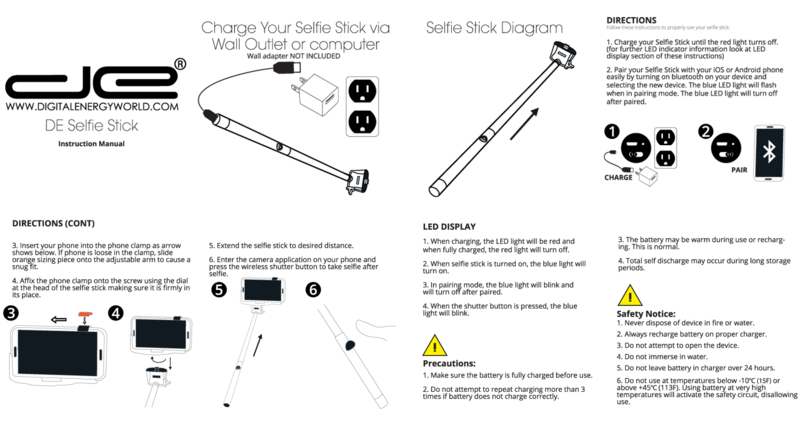 Capture the self-portraits you always wanted with the Digital Energy Bluetooth Selfie Stick. 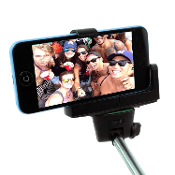 This extendable handheld monopod includes two adjustable phone adapters, allowing it to work with most smartphones. The built-in Bluetooth shutter control gives you control of your phone's camera and it collapses to just 9", so you can easily stow it in your backpack or purse. NOTE: Try the Camera 360 App for more fun and additional functionality.